Attention-deficit/hyperactivity disorder (ADHD) is a neuropsychiatric disorder normally diagnosed in childhood and persisting into adulthood in up to two-thirds of the patients. Its core symptoms comprise inattention and hyperactive–impulsive behaviours. Several studies suggest that patients with ADHD show alterations in self-regulation and self-monitoring. So far, it has not been described whether these deficits also affect the awareness of one’s own bodily signals, that is, interoceptive awareness. To investigate possible alterations in interoceptive awareness, 14 adult patients with ADHD and 16 healthy controls performed a heartbeat detection task, in which they had to count their heartbeat without any external help (e.g. visualization on a screen). As an indicator of the individual interoceptive awareness ability, a score based on the comparison between recorded and counted heart beats was calculated. 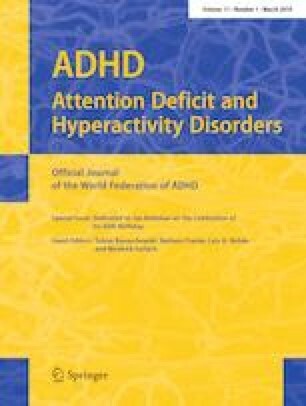 Our results showed that patients with ADHD performed significantly worse on this task than controls, which indicates that they were less aware of internal bodily signals while additionally experiencing deficits in regulating and monitoring their own (overt) behaviours. This article is dedicated to the loving memory of Katrin Kutscheidt, who was killed in a road accident while attending the SFN conference 2015 in Chicago, USA. This article is based on her first unfinished draft which was later finalized by the co-authors.